Join us for a soulful Carlebach style Kabbalat Shabbat of song, warmth and community. 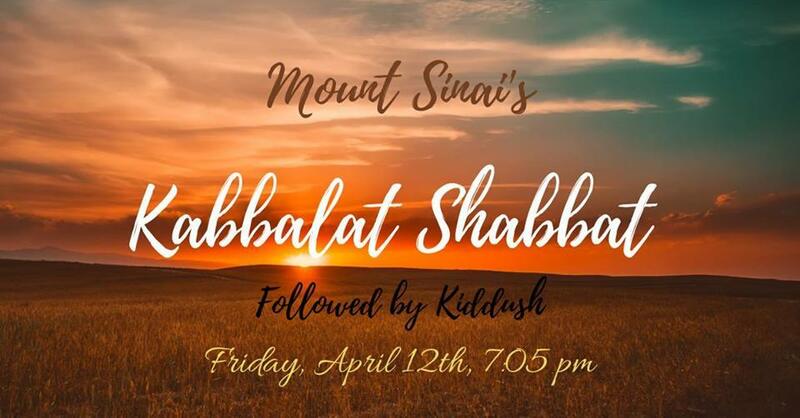 Whether this is your first or hundreth Kabbalat Shabbat we'd love for you to be here with us. Following services all are invited for a delicious kiddush. 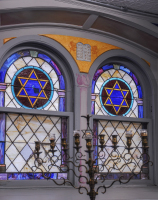 We look forward to seeing you in our warm and welcoming synagogue. An Orthodox Synagagoue with a Modern Perspective. Founded in 1906, Congregation Mount Sinai is the oldest continuously operating synagogue in Jersey City. Our distinctive building with its copper cupolas is a historic landmark and a symbol of our deep roots in the neighborhood. Services are held 9:30a.m. Saturday and are conducted in Hebrew. Men and women sit separately, and children are welcome. Join us for Shabbos or a holiday or contact info@bestshulever.org for more information. Congregation Mount Sinai, founded in 1906, is the oldest continuously operating synagogue in Jersey City. Our distinctive building with its copper cupolas is a historic landmark and a symbol of our deep roots in the neighborhood. We are a warm, welcoming, and traditional congregation with a modern perspective on Jewish life and learning. Members include longtime Jersey City families as well as newcomers of all ages who are participating in the economic and cultural revival of Jersey City and Hudson County. languages and accents as our congregation is exceptionally international. Page numbers are always indicated, and we offer a welcoming environment for people to express, deepen and rediscover their Jewish heritage. Founded largely by Jewish merchants who anchored the Central Avenue retail district, Congregation Mount Sinai flourished in the mid-20th century. At the time, The Heights was home to many first and second-generation American Jews. During the 1960s and 1970s, many members moved to the suburbs but the area is being rediscovered by a new generation. We are walking distance from Journal Square, Hoboken and Union City. During the week, The Heights is a quick commute to New York with easy access to the Light Rail, PATH trains, buses, jitneys, and Uber. Other highlights include the Central Avenue shopping district, Pershing Field, and stunning panoramic views of Manhattan from Fisk Park/Riverview Park.